And don't forget - have fun! 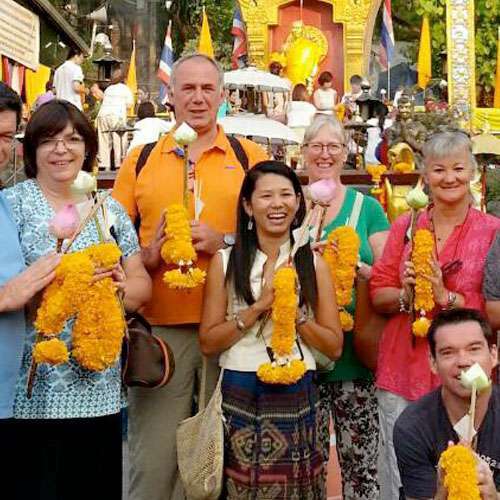 Thai Basic Stay offers private personalised tours in Northern Thailand including Chiang Mai, Lampang, Lamphun, Mae Hong Son and authentic hill tribe villages. We are fluent speakers of English, Dutch and Thai. My name is Wilai and I am the founder of Thai Basic Stay. I have been a tour guide in Thailand for over 15 years. I would like to show you the true way of life in the various Thai communities. My tours are unique and different from others. I will proudly help as your local tour guide or personal assistant, ensuring the best possible service, whilst you enjoy the beauty of our culture and homeland. My private tour service is only offered to small private groups and I can adapt my programs to include your individual requests and ideas of what you would like to see and learn. Contact me for more information.